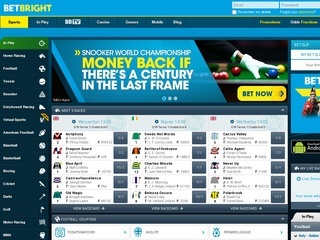 BetBright is one of the new players on the online betting scene. Their website is just three years old, having launched back in 2012. For such a small time frame, the bookie had a lot to prove. If a bookmaker wants to be successful and attract players, they have to think ahead of time – and this is just what BetBright did. In 2014, the online bookie invested much more in marketing and sponsorship. BetBright clearly did things right, since they are now in the top 70 most visited betting sites, top 125000 most visited sites in the world and top 7000 in the United Kingdom. Nearly 70% of BetBright’s visitors are from the UK. The customer count of the website keeps growing with each passing day. Apparently, a bit of marketing and a generous affiliate program can go a long way in launching a good bookmaker’s product to the top spots. BetBright is publicly owned by Dedsert (Ireland) Limited. The business is licensed under the jurisdiction of Ireland. Having a license in this country is an achievement all by itself – thus, it is a mark of trust and value. The website of the bookmaker looks modern and clean. Players are greeted by a combination of black, blue and dark green colors. Aside from being easy on the eyes, BetBright’s website is very intuitive for new players. Veteran bettors will find everything they need in all the right places. The betting options on the BetBright website are plenty. Players can choose to bet on 19 types of sports, plus upcoming politics elections and other various events. The available games range from football to darts – there is everything to satisfy your betting needs. The required in-play live betting is also available on BetBright. What’s better than a bit of split-second decision making to get your adrenaline pumping, win you some money and improve your analytical skills? Until recently, BetBright didn’t have any casino games on their website. However, a few good moves from their side have gotten them contracts with some of the biggest online casino games providers. Currently, customers can choose some of the most popular games – Game of Thrones online slots, European roulette, European Blackjack, Castle builder and Immortal Romance. There are sections for slot machines, blackjack, roulette and video poker. Aside from the regular casino games, players can play some nice jackpot, table, and multiplayer games. BetBright had gone to the extent of player satisfaction – Live casino. That’s right – you can play Baccarat, Casino Holdem, Blackjack and Roulette over there in real-time, against other players. The only game missing from the combo are the live poker tables. Of course, BetBright is staying current. The online bookmaker can be used via an app for Android and iOS. The betting market on BetBright is huge and offers over 80 ways to bet! Players can choose to place their money on 1X2, a variety of handicaps, goalscorer, correct score and many, many more. The winning odds can go from 1 to 1 all the way up to 99 to 1. The options allow for some pretty high winnings. Aside from the regular markets, there are team markets, corner and cards, totals, half markets and more, various ones. System bets and combinations are also available for the proficient players who like the thrill of complicated betting. BetBright offers a high level of security to their clients. The connection from the bookmaker to the players and vice-versa is secured by a modern SSL encryption. These security measures will make sure your transactions, identity and account data will be safe at all times. Aside from technical security, BetBright thinks about their clients’ well-being too. If you feel you are tilted and are losing more than you win, you can get help from GambleAware and GamCare. The bookie is also a member of IBAS. BetBright offers excellent customer support services. Customers can contact the department by e-mail, telephone and live chat. The only supported language is English. 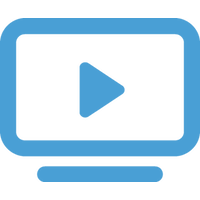 The customer support staff is well prepared to assist the player and help them out effectively. You can enjoy a reliable service and polite behavior. Depositing and withdrawing money from BetBright is available by credit and debit card, Cheque, and Bank Wire. The accepted currencies are only the most popular ones. The bookmaker is considered a fair payer and the winnings can get to players in the matter of a few days. The minimum deposit sum is 5 GBP. BetBright offers a very elaborate loyalty program. Players just need to opt-in and proceed to play as they would normally do. By doing this, you start earning points. Every Monday, you are eligible for a prize draw. The rewards start at 100 points and end at 100 000 points, with the biggest on being 1000 GBP cash! The program is the usual deal – the more you play, the more significant reward you can get. The bookmaker offers a nifty casino bonus. The biggest bonus that BetBright offers is at 3 stages and it is 600 GBP in total. It consists of three steps – first deposit gets 100% matched up to 200 GBP, second is matched 50% up to 150 GBP and the third deposit is matched 75% up to 250 GBP. Of course, there are rollover requirements for each stage. The first stage of the welcome bonus awarded must be played through 50 times before it can be withdrawn. The second and third stages of the welcome bonus awarded must be played through 60 times before they can be withdrawn. However, you can withdraw your winnings just fine!